Keppel DC REIT offers investors a unique leverage on the robust outlook for data centres globally. Its current portfolio comprises 13 high-quality data centres strategically located in key data centre hubs. With an aggregate lettable area of c.0.9m sqft, the portfolio spans nine cities in seven countries in Asia Pacific and Europe. Acquisition momentum to continue; possible equity fund raising post completion of maincubes in 2Q18. Portfolio gearing remains at a conservative 32.6% (vs 28.3% a year before), implying ample capacity for debt-funded opportunities. On our estimates, the committed acquisition of maincubes (Main, Germany) in 2Q18, will bring AUM to S$1.65bn, and push gearing towards 38%. That said, the Manager has alluded to looking at further acquisition opportunities and maintains that a S$2bn AUM target by end of 2018 is attainable. To part fund these acquisitions, an equity fund raising is likely and we have priced that into our estimates. An acquisition is likely to be accretive given the REIT's attractive cost of capital. Stable financial metrics and currency hedges to limit volatility. All-in cost of debt is low at 2.2% and is likely to remain stable. As at end-4Q17, 86% of the Trust’s borrowings were hedged into fixed rate debt, which will provide earnings visibility in a volatile interest rate environment. Major currencies that will impact earnings - AUD and EUR - have been hedged for two years up to 1H19 through foreign currency forward contracts, thereby minimising currency fluctuations going forward. Lippo Malls Indonesia Retail Trust (LMIRT) invests in a diversified portfolio of quality retail assets – 20 retail malls and seven retail spaces – in major cities in Indonesia, capitalising on the country’s economic growth and rapidly expanding consumer class. The portfolio was valued at S$1.9bn as of 4Q17. Operational performance has been increasing steadily over the years with gross revenues and net property income increasing by 5.0% and 7.2% y-o-y, reaching a record S$197.4m and S$184.3m respectively. Distributable income rose 1.6% to S$96.9m, translating into a DPU of 3.44 Scts (0.9% increase due to higher base). Higher revenues were largely driven by acquisitions of three properties (Lippo Plaza Kendari, Jogja and Kediri Town Square) in FY17. Portfolio rental reversions have generally been stable at > 5.0% since 2011 but moderated to 2.6-2.9% in 3Q-4Q17. Exposure to Hypermart and Department store sectors to face challenges. The REIT derives close to 30.4% of its revenues from its top 10 tenants, the largest being Matahari Department Store (13.1% of revenues) and Hypermart (9.2%), both of which are entities of its Sponsor, PT Lippo Karawaci Tbk, one of Indonesia’s largest conglomerates with a diverse business. That said, both the Hypermart and Department store business are facing operational challenges given changing consumer preferences and shopping habits. When leases are due for some of these spaces, we expect the exposure to both tenants to decline over time. 47% of LMIRT's debts are on fixed rates and the REIT will be refinancing close to S$270m in 2018, most of which are skewed towards the end of 2018. We expect refinancing cost to edge higher in the coming quarters. One of the best portfolios in Singapore. Mapletree Commercial Trust's (MCT) portfolio comprises one of the best-in-class properties in Singapore. The portfolio comprises five properties located in the Harborfront and Alexandra precincts and in the Central Business District (CBD). The Harborfront and Alexandra precincts, where four out of five properties are located in the Southern part of Singapore, which enjoys good proximity to CBD but sees limited competitive supply. In fact, key properties – VivoCity and Mapletree Business City Phase 1 (MBC1), which collectively contribute c.76% of top line are seen as dominant properties in their respective locations. Given their superior property attributes, Vivocity and MBC1 are generally price setters when it comes to rent negotiations with tenants and command premium rents. Asset rejuvenation plans in the works. MCT’s portfolio occupancy rates remain high at c.98.7% with stable rental reversionary trends despite market weakness. Tenants sales performance has been improving 1.2% over 9MFY18, a healthy sign, implying that downside to rents is unlikely in our view. MCT have close to 20% of income renewing in FY19F (16.7% from retail leases, 5.9% from office/business park leases). To further improve the shopping experience at VivoCity, and drive higher organic growth, the manager have started on an asset enhancement initiative (AEI) decanting close to 30,000 sqft of space from level 3 (conversion to a public library) to higher-yield space at basement 1. When completed in 2QFY18, it will be a kicker to VivoCity's top line. The REIT has a well-distributed debt expiry profile standing at 4.3 years with no more than 20% of debt expiry every year. All-in cost of debt remains fairly stable at 2.73% but is noted to be up by 0.1% compared to a year ago. While refinancing cost will edge higher, we see the impact of higher interest cost to be mitigated by having c.78% of the cost hedged into fixed-rate debt. Singapore office on an multi-year recovery. We are entering a period of undersupply over 2018-2020 where annual supply of new office is < 1m sqft, below annual take-up. Hence, we believe that recovery in Grade A office rents is underway. However, we see a two-tier market led by premium Grade A offices while older Grade A and potentially Grade B buildings lagging. This is because the “flight to quality” trend remains as tenants seek buildings with more efficient floor plates and specifications. OUE Commercial REIT, with prime properties – OUE Bayfront and One Raffles Place, well located assets in core CBD, will stand to benefit from this trend. A gradual rebound in operational performance. Going forward, the Manager believes that depending on how spot rents in Singapore improve in 2018, there remains risk of negative rental reversion but remain optimistic that rental reversions might turn out better as the market enters a period of tight supply. For Lippo Plaza, the manager remains cautious given an increase new supply in Shanghai. The Manager is in active negotiations to refinance debt expiring in 2H18 and have good access to banks. Cost of funds of 3.5% is likely to inch up slightly when these loans are rolled over. While gearing as of end-4Q17 stands at 37%, post the retirement of close to S$100m in convertible preference units, gearing will inch up to close to 40%. Prime portfolio located in the Asia Pacific region. Starhill Global REIT's (SGREIT) portfolio comprises prime real estate properties located in Singapore Australia, Malaysia, China and Japan valued at S$3.1bn as at 30 June 2017. The key objectives of the Manager are to deliver stable distributions and long-term NAV growth by actively managing the portfolio and selectively acquiring and divesting properties to optimise returns. SGREIT offers investors strong income visibility by having close to 48% of its gross rents from master-leases and long-term leases, where period rent reviews underpin a steady growth profile in the medium term. An alternative play to improving tourism outlook. 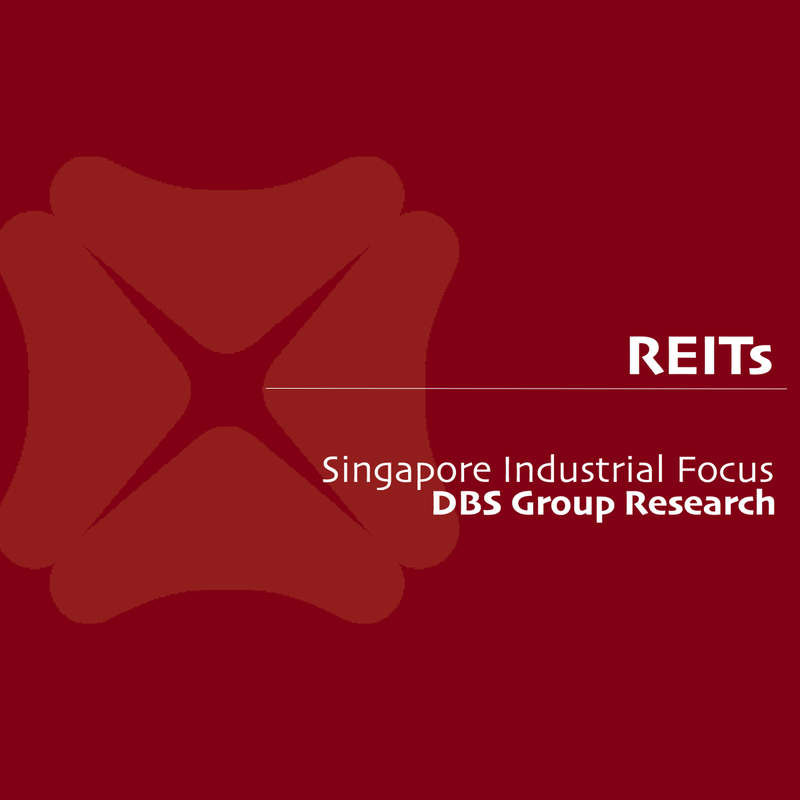 SGREIT derives close to c.60% of its net property income (NPI) from its stakes in Ngee Ann City and Wisma Atria, prime properties located in Orchard road, Singapore’s prime shopping belt. The projected rebound in tourist arrivals from 2018 will be a driver for higher tourist spending, a catalyst for stronger operational performance going forward. The lack of competitive supply in Orchard Road will support the REIT’s rental negotiations. Asset enhancements in Perth and Malaysia to drive value. The ongoing redevelopment at Plaza Arcade in Perth is on track for completion in 1Q18, anchored by Uniqlo, its first store in Western Australia. The redevelopment will involve the REIT creating c.8,000 sqft of retail area, which will be a driver for revenues in Australia. In Malaysia, ongoing rejuvenation of Lot 10 which enhanced traffic flow into the property will be completed in 1Q18, which in the longer term, aims to improve visibility and earnings growth. The REIT has a well-distributed debt expiry profile standing at four years with no major refinancing till 2021 onwards. The all-in cost of debt remains stable at 3.1%. While refinancing cost will edge higher, we see the impact of higher interest cost to be mitigated by having c.99% of the cost hedged though swaps or caps. Given its diversified income sources, the Manager limits the impact of foreign currency fluctuations by taking on local foreign denominated debt as a natural hedge and also through short-term foreign currency forward contracts.